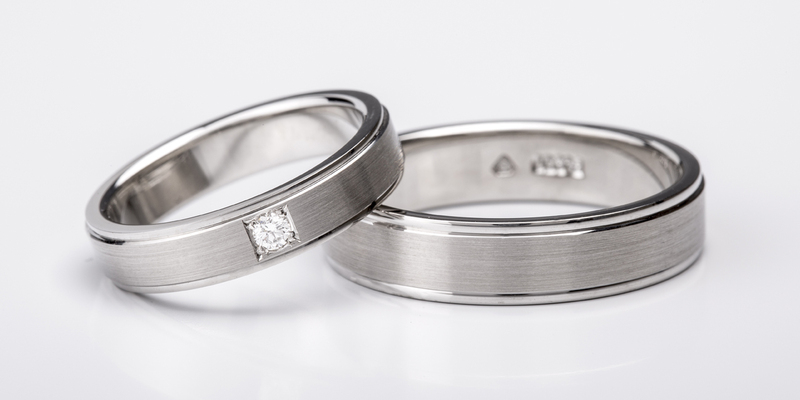 Does the Bride and Groom Need Matching Wedding Rings? Wedding rings are a symbol that the two have become one. They have been worn for centuries and people see this as a way to express their love and becoming a unit in marriage. Having matching wedding rings serves to also show that a couple has similar taste and hold traditions in high regard; while still wishing to be a part of this. Should his and hers wedding bands match? This question is entirely up to the bride and groom. Traditionally, most people have chosen to have matching rings, times have evolved though and there are those who choose to have different rings that seek to reflect on their personality. That said, people still stick to this familiar tradition. Whatever a bride and a groom choose to have, it is totally okay. But as we mentioned earlier, there are those who still believe that having matching rings unites them together as one. The most popular ones are gold and silver though there are other metals available in the market. There are diverse colors available, as a couple, settle for the color that works for the both of you. You can choose to have matching wedding rings that have a similar color. It can be polished or have a matte or hammered finish. Should this have diamonds or any other stones? People have different preferences and taste. It is important to narrow down on what one wants and even search for engagement rings online to get a perfect fit. Rings hold so much significance in a marriage. It is important for the bride and groom to be to settle on something that best suits them. A ring that would show how much they adore each other and what a better way than to get matching rings? Copyright © 2018 by RPS Jewellers.